Fill out the form with any questions or inquiries you have for the sales consultants at The Hills at Cielo Ranch . You can also call or chat with us for immediate responses. The two-story Granville’s first-floor owner’s suite, with luxurious bath and walk-in closet, attracts couples seeking privacy and convenience. The gourmet kitchen with island and adjacent dining area are perfect for entertaining, and family and friends can relax and gather in the large great room. This plan also offers a flex room, ideal for a home office or hobby space, plus a second floor game room. 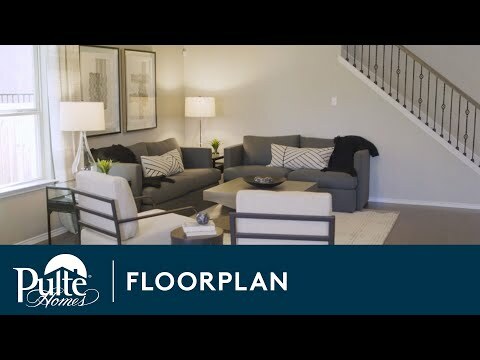 Step inside Granville to see the spacious designs and smart features that put the life you want within your reach. The Granville is known for the first floor owner’s suite, complete with large walk-in closet and private bath. The second floor has a spacious game room, perfect as a retreat space for the kids. Chrome fixtures throughout the home lend a timeless feel. Flexible living space on the first floor can be converted into a study with French door entry. The two-story Granville features a first-floor owner’s suite, with luxurious bath and walk-in closet, ideal for privacy. Entertain in the gourmet kitchen and adjacent dining, and then relax for the night in the great room or upstairs game room.